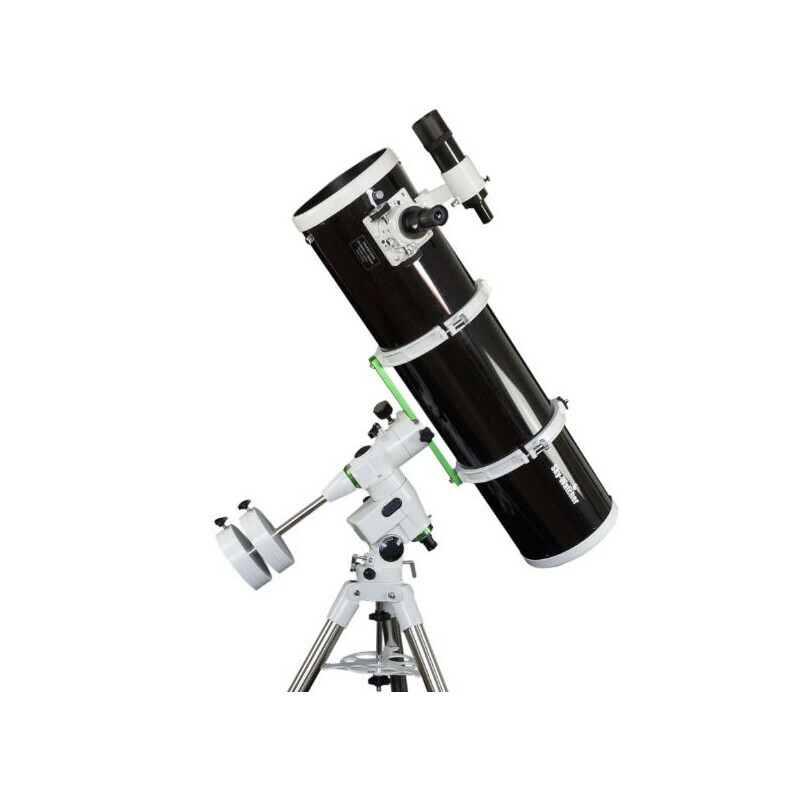 With a 200mm aperture, this telescope opens up new details in deep sky observing for the observer as compared to smaller telescopes. 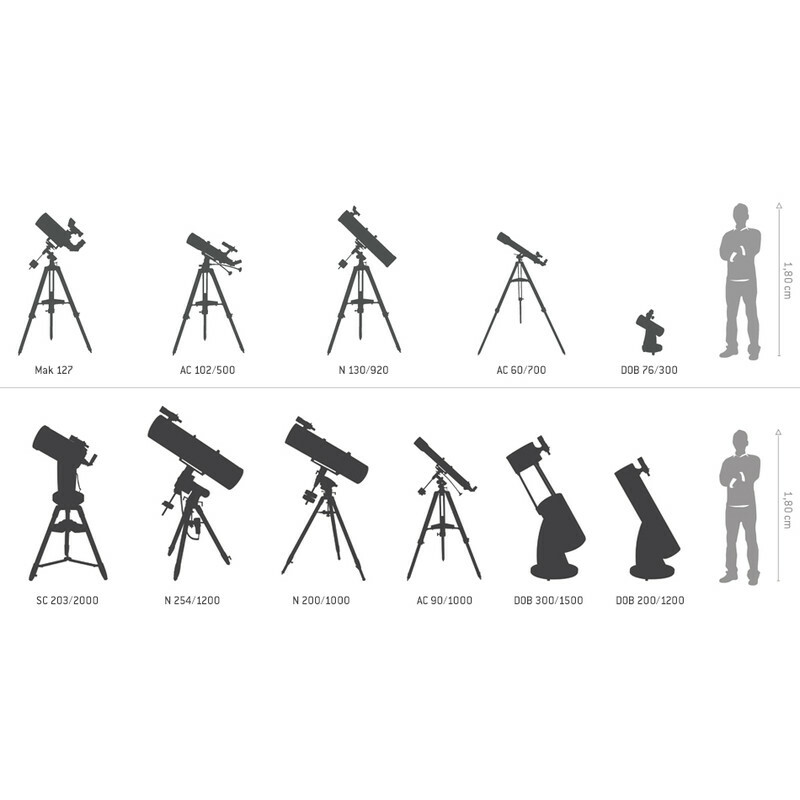 With 78% more light gathering ability compared to a 150mm telescope, even the delicate spiral arms of many galaxies and additional structures in other nebulae can be observed. Globular clusters, such as the famous M13 cluster in Hercules, can be resolved at their edges to a large degree. The parabolic primary mirror is diffraction limited, allowing sharp images of the object. 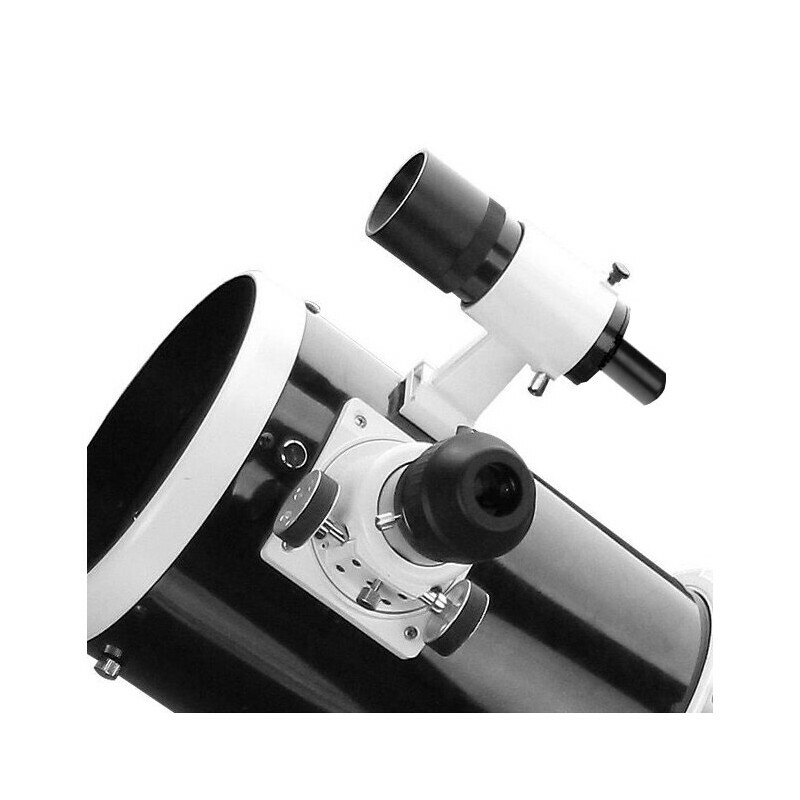 The very high-contrast optics are optimised by the use of a small secondary mirror and thin secondary mirror spider vanes, allowing sharp and bright planetary observing even at higher magnification. 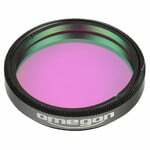 The OTA has a solid 2-inch Crayford focuser for a low image shift focusing - of particular importance at high magnifications and for astrophotography. 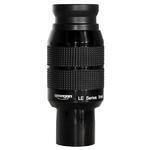 The use of 2 inch eyepieces allows the maximum possible field of view to be exploited. 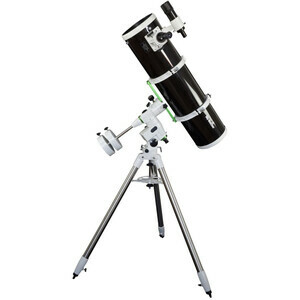 The telescope has an f5 aperture ratio, putting it in the class of 'fast' Newtonian telescopes, so this telescope is particularly well suited to astrophotography. 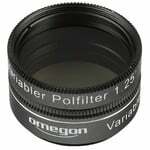 The 9x50 finder scope is highly useful as you can already see objects due to the large aperture that are not even visible to the naked eye. 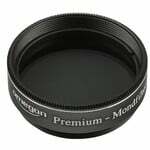 The OTA is also visually a real gem, featuring an elegant design for the both OTA and finder scope in an aesthetically pleasing shimmering black. This mount is a further development of the EQ-5, in a white design. 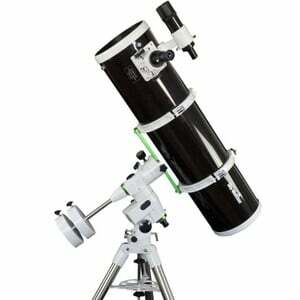 It provides a solid platform for most large telescopes and is excellent for exploring the night sky. Once you have aligned the parallactic mount on the Pole Star, you can easily sight on an object, position it in the field of view, and track it using the slow motion control knobs provided. 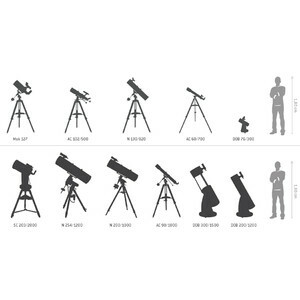 Fine adjustment is possible in right ascension and declination. 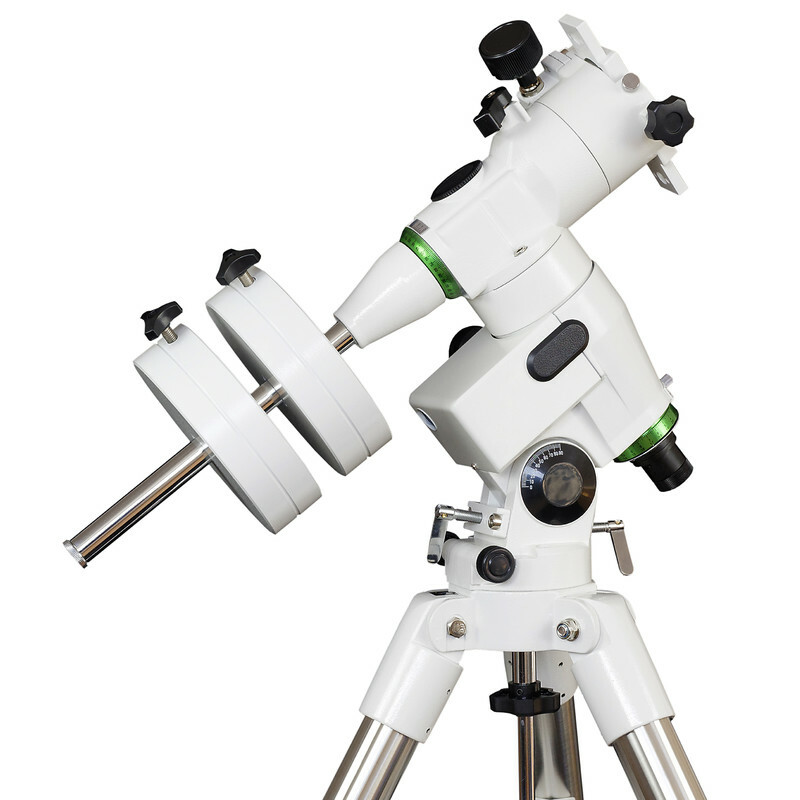 The polar elevation at the observing site can be set using the fine scale provided and adjusted perfectly by using two screws. 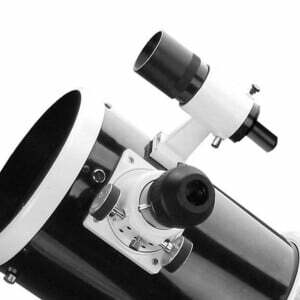 Both a polar finder and electric motors for both axes plus a control unit can be retrofitted: the NEQ-5 is suitable not only for visual observing, but also for getting started in astrophotography. Long exposure astrophotography is also possible with the optional upgrades available, such as the motor kit or the GoTo kit. 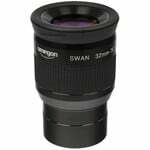 With a little practice, you will soon be able to produce successful images of galaxies and nebulae.